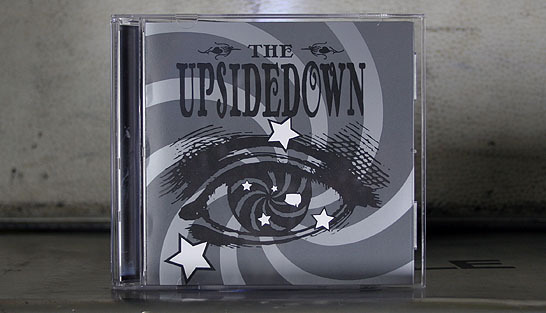 This was the debut record for Portland glam/psychedelic rockers The Upsidedown. I wanted the package to be stark and bold. I used a metallic silver ink on this one. When you move the package the spiral appears and disappears into the grey depending on how the light hits it. I love working with inks and varnishes.